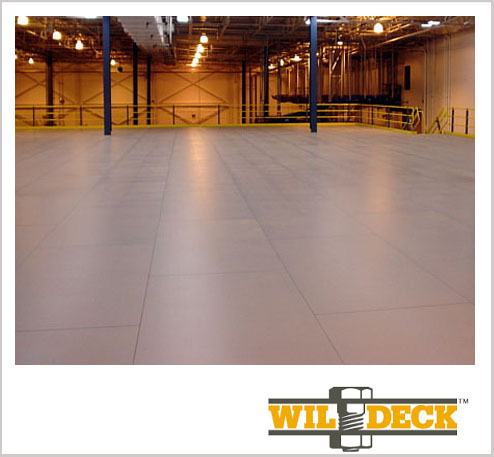 A variety of decking options are available through the complete product line of Wildeck® work platforms. The experts are Morrison Company will review your mezzanine needs and specify the product or combination of products that will best achieve your desired end result. Roof deck & resin board (most economical), bar grating (open design allowing ventilation and satisfying fire regulations), roof deck & floor plate (when non-combustible is required), roof deck & specialty panels (non-skid), roof deck & concrete (satisfy fire ratings and chemical application requirements), and specialty grating (made from fiberglass or plastic).